The same image appears in The archive photographs series - Brentford, compiled by Carolyn and Peter Hammond, p. 71. 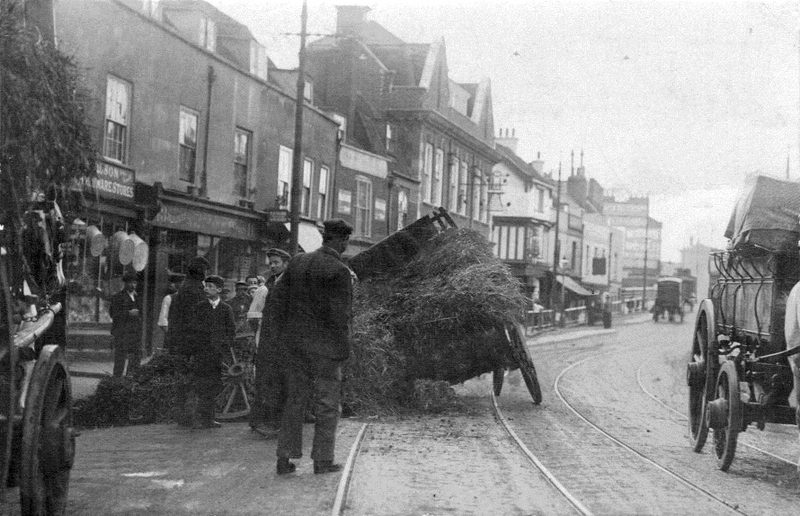 They add 'the cart was carrying used straw from stables as manure for local market gardens'. Their version had Christmas greetings printed on the reverse.